These cupcakes are great because the cake itself is almost as easy to make as a boxed cake, but it isn’t! The cake is a more bitter cocoa flavor which is perfectly offset with the sweet sweet fudge-like frosting. 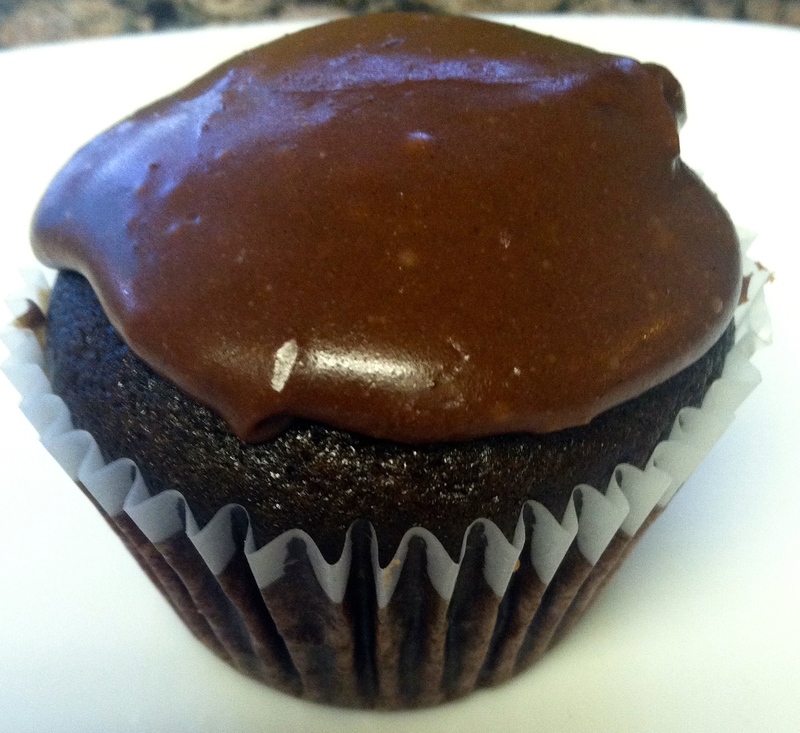 These cupcakes are a simple chocolate but always get rave reviews! Place cupcake liners into your muffin/cupcake pans and spray the outsides just in case. 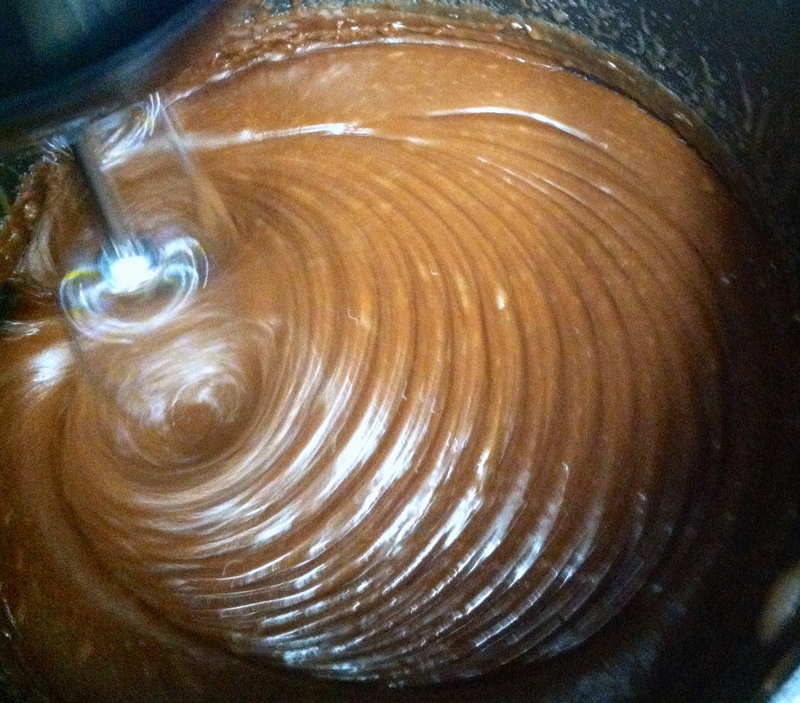 Put your flour through cocoa (dry ingredients) into your mixing bowl and stir. Add the remaining ingredients and mix well with a fork or whisk. Fill your cupcake liners just over 3/4 full and bake for about 25 minutes or until an inserted toothpick comes out clean, oven times may vary. This will yield approximately 18-20 cupcakes. Allow the cupcakes to cool well before frosting or your fudge frosting will “melt” and become grainy. I baked the cupcakes one afternoon and saved the frosting for several hours later. You do not have to wait that long, but you must let them cool. The cupcakes are good but this frosting is the icing on the cake (ha-ha)! Melt the butter in a saucepan over medium heat and then add the sugar and the milk. Stir regularly and bring the mixture to a rolling boil. Allow to boil, while stirring, for about 1 minute. Remove from the heat and stir in the chocolate chips. Use a mixer to beat on medium high until thick. This took about 7 minutes. You will see the frosting begins to make waves throughout the boil when it is near to done. The frosting will begin to swirl and peak when it is near to done. You will want to ice your cupcakes immediately and quickly as this frosting begins to “set”. We like the nice smooth appearance that result from gathering an overfull Tablespoon full and flipping it over the top, you can use the back of the spoon to even it out. If will be a thick layer, but it hardens nicely. 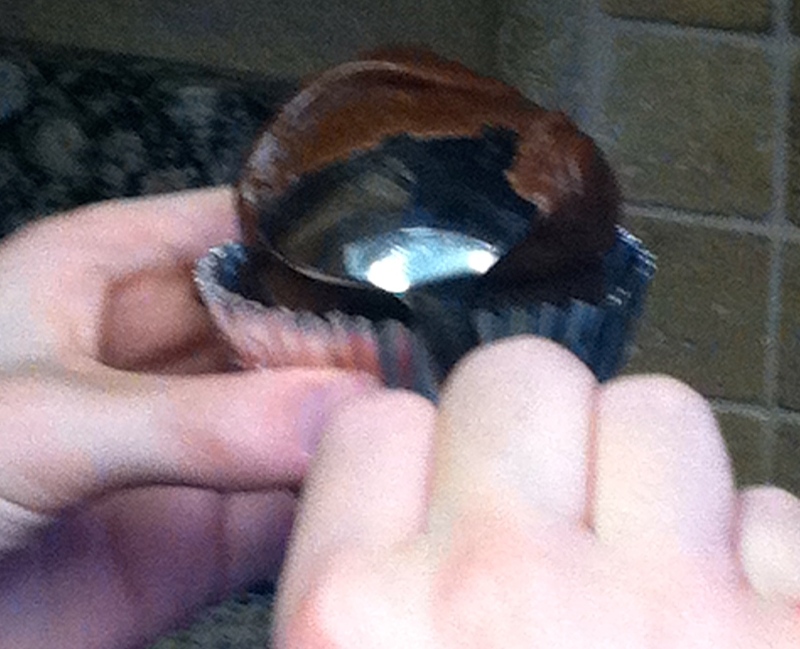 See the frosting application and cut cupcake below. 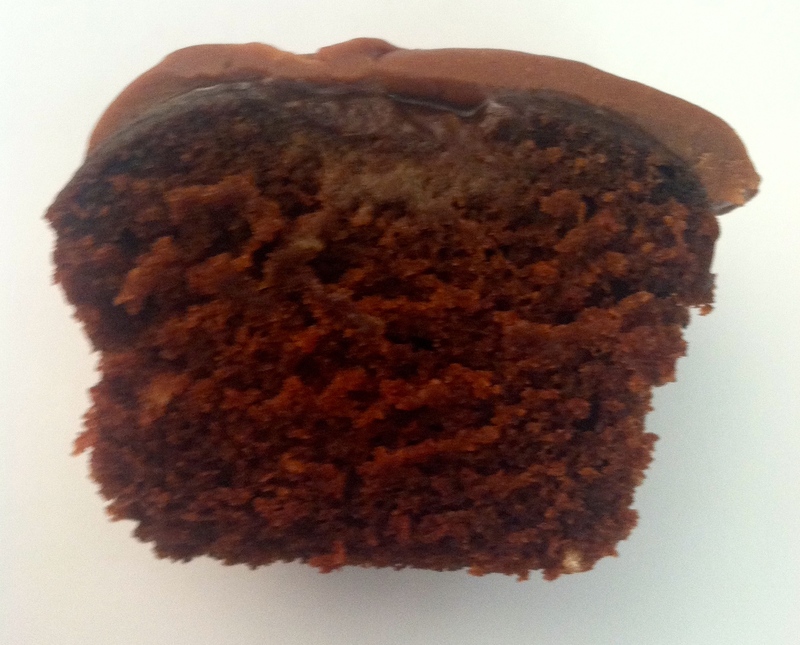 Use your heaping tablespoon to drop your fudge frosting onto each cupcake. Work quickly as the frosting begins to set quickly. These are a “cheat” cupcake. Why a cheat??? Because they taste like a lot of work and they are SUPER simple!! Like, buy a cakemix and doctor it up a bit simple! The best part of these is how light and refreshing they taste, no heaving frosting, just a bit of whip! Prepare the cake mix as directed but substitute milk for the water (a moister cake). After mixing, add 1/2 cup of the Creme De Menthe and continue mixing until blended. Cook the cupcakes according to the mix directions. Try to fill to 3/4 full so that your cupcakes will get a nice “muffin top” but not too much that they will cave in the center or be to messy to top. I use the toothpick test everytime–mine took 18 minutes on 350 using a silicon cupcake pan and liners. One the cupcakes have cooled (a must), spread about 1 1/2 tsp of the chocolate fudge topping on each. Think of it as a frosting. 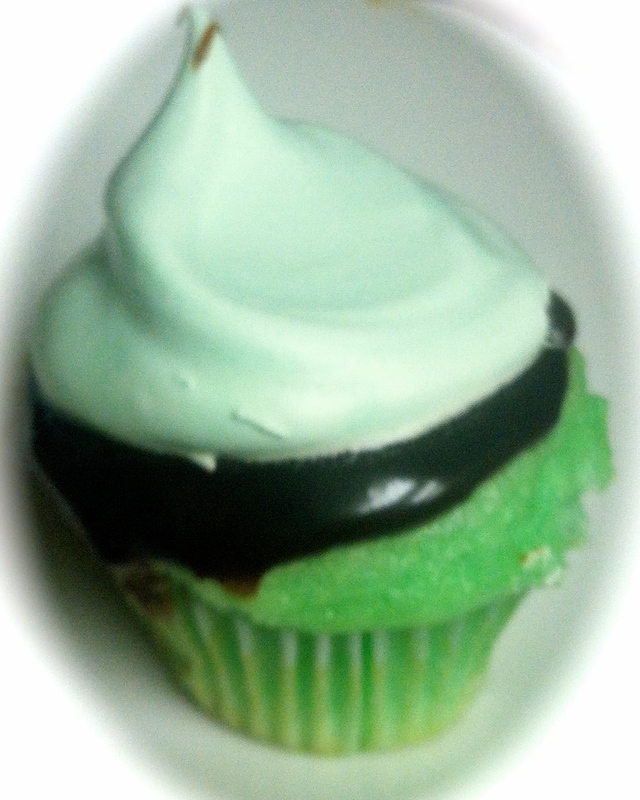 Then, add your last 2 TBSP Creme De Menthe to about 3/4 your tub of Cool Whip. You may sample this for flavor and adjust accordingly. IF you are concerned you can go with half and add as you desire OR you may go with no flavoring, but it really is good this way and makes it a bit green, too! Top each cupcake with about one large TBSP (we actually use a spoon, flip it and spread with a bit with the back of the spoon). Simple, kind of cute, and wildly tasty! This recipe will yield 18-20 cupcakes.